During college, or studying abroad, or working far from home, raise up your hand, amici, if you haven't received at least one care package sent by a thoughtful relative or friend! How soothing it was, wasn't it? Keeping an emergency kit at hand is always important and, even more, when it contains sweets and other favorite (read powerful) traditional necessities. 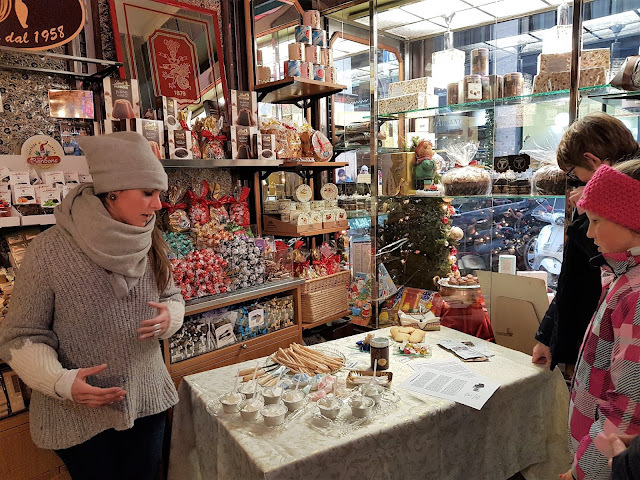 Here's what Chiara included in Lucia's sweet emergency kit, please, take note because all these items are ideal for travelers, yogis, foodies, all creative minds, kids of all ages and all people undergoing stress due to many non-serious causes. 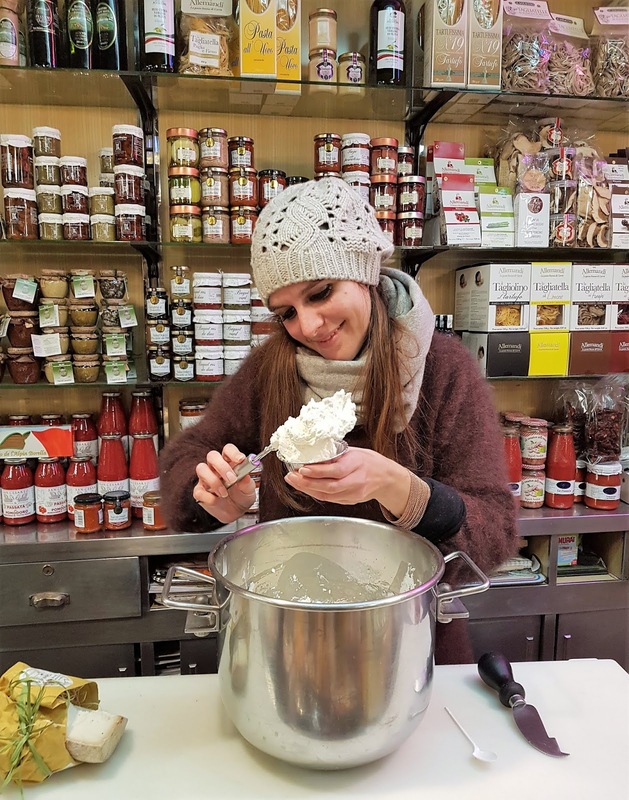 Since 1958 Latteria Bera has always been known for its whipped cream. To these days, Brunetta - Chiara's mom, Chiara or Evelin, the dairy's trusted sales assistant, still make it with natural heavy cream and just a pinch of vanillin. 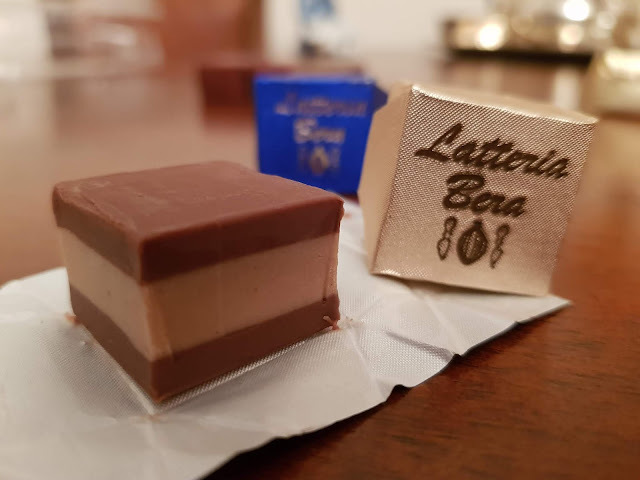 This is a wonderful remedy for jaded, pissed off or disappointed people and a prompt relief to those suffering from light deprivation or cold and humid weather in the Turin's winter. Best if eaten right away in an aluminum ramekin (like in the picture), but it is also very much effective when brought home in large quantity. Pets adore it too and kids are always willing to patiently wait for a new batch to be prepared. Who needs marijuana when you can enjoy this soft cloud-like whipped cream?? 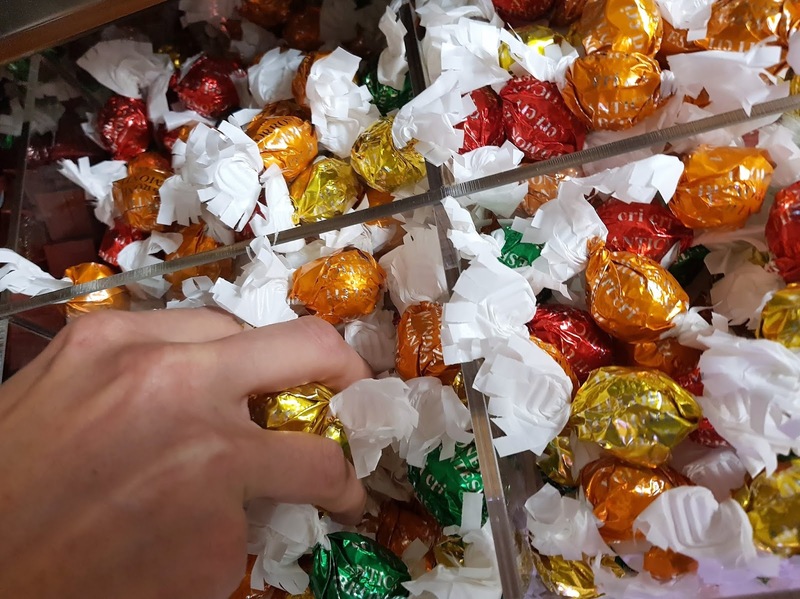 These aren't mere candies, or sweets or even chocolates, these are the Ferrero Rocher's nonni! They come wrapped in colorful metallic paper with white fringes on the sides. To open them, you have to carefully untwist the sides and then you'll see just the outer surface: a cluster of tiny white sugar balls! 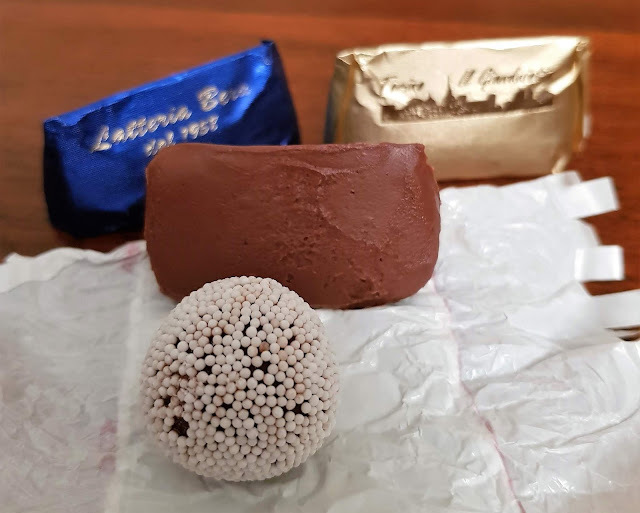 Take a bite and you'll be able to look through a cri-cri core: a hazelnut coated in milk chocolate!! To Turinese natives, cri-cris are as powerful as Ratatouille's ratatouille and the Proust's petites madeleines, they have the power to instantly bring you back to a time of carefree happiness, usually with older relatives and family friends. A magical time without any problems whatsoever. We could be brag about gianduiotti forever, telling you how their upside down boat-like shape (cit. 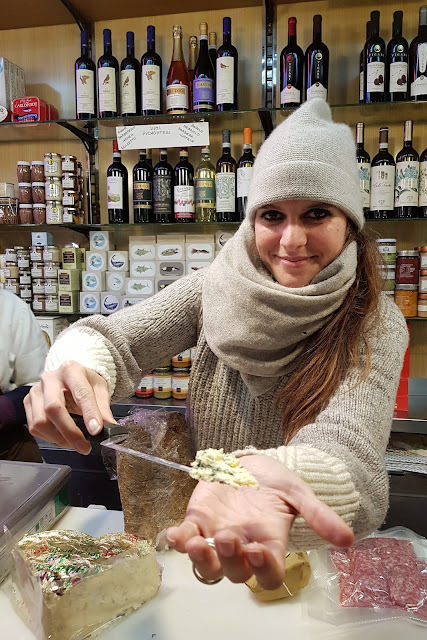 Maria Pasquale, author of Heart Rome blog and book, TurinEpi15 guest, friend and Turin lover) is due to the chocolate master's gesture when dropping the chocolate dollop over on the cookie sheet, and how, at the beginning of the 19th century, during the Napoleonic wars, as our regional cocoa supplies went down, some chocolate producers in the wine country, looked around and had the greatest idea to blend hazelnut paste and cocoa, thus creating one of Turin's staple chocolates! 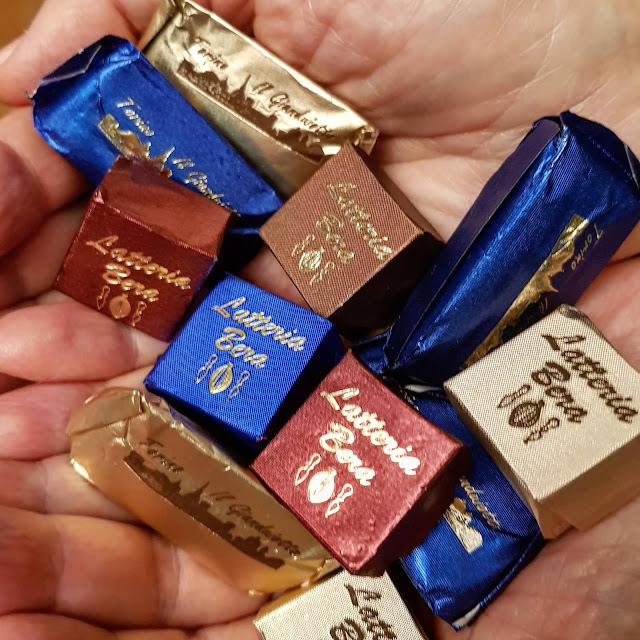 Needless to tell you that the Latteria Bera gianduiotti come wrapped in many colors according to their flavors, the dark chocolate one doesn't contain any dairy - so dear vegan friends, you can indulge too 😜 - and they simply carry all the natural flavors of their ingredients. Basically, they could be sold in pharmacies as vitamins, just like the Latteria Bera chocolate spread aka gianduia cream. 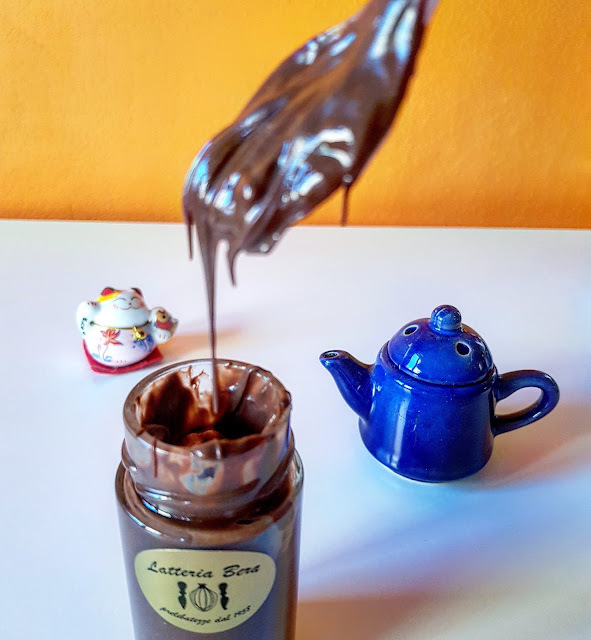 Gianduia chocolate spread - 1 serving! 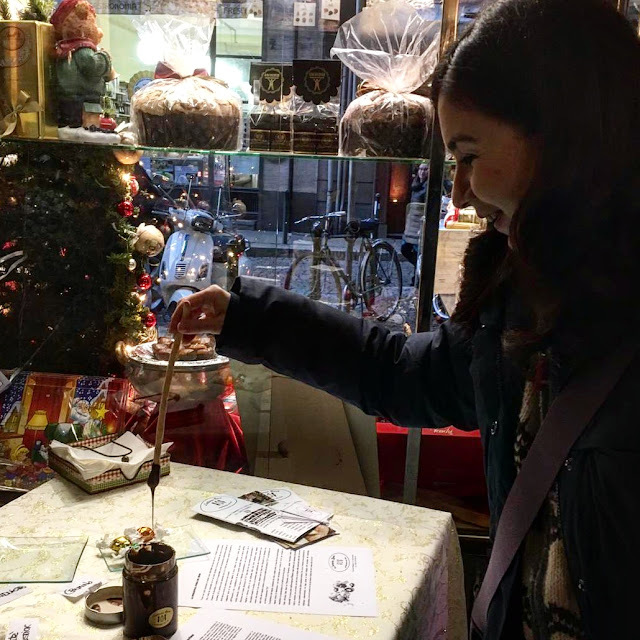 Yes, Chiara was thoughtful enough to supply Lucia with a single serving gianduia spread pot. To best uplift your mood, this little glass pot contains only 2 emergency doses of chocolate spread, best if eaten on its own, by the spoon, pure, without anything else. Needless to tell you, at Latteria Bera, you can find artisan grissini too. The Latteria Bera's cremini are wrapped in different colors according to their flavors too: vegan dark chocolate, milk chocolate and coffee. These are cubes of pure delicious artisan chocolate sandwiching a middle stripe made of hazelnut paste. Now you know why Chiara included all these basic necessities in our sweet emergency kit! In the winter, we recommend you do like one of Lisa's nephews did following Lucia's advice: secure your chocolate spread pot in one of your coat pockets, it'll just make you feel happier 😂. Food in Turin has always been playing a key role in our local lifestyle, this is why we strive to keep specialty shops and family businesses alive. Supporting them means supporting a living part of the local history and traditions and, above all, eating good, fair and clean. This is why we'll never tire to invite you all to Turin to experience our vidaroyal and mindfulness sessions! !